RESURGO Place is a state-of-the-art facility where Moncton heritage, technology and discovery intersect. The resilient City of Moncton was built on transportation. We invite you to come discover why the city's motto is Resurgo, "I rise again." Explore stories of our people and heritage. Follow transportation themes that weave in and out, shaping our understanding of this place and its connections to the wider world. Have hands-on fun with our interactive exhibits, moving your creations further, faster and safer! RESURGO Place houses both the Moncton Museum and the Transportation Discovery Centre and oversees heritage sites, such as the Free Meeting House (1821), the Thomas Williams House (1883) and the Treitz Haus (c. 1769). Be sure to visit The Station Gift Shop for unique gifts and transportation-themed merchandise. RESURGO Place, home of the Moncton Museum and Transportation Discovery Centre offers visitors a unique and interactive experience dedicated to history, science and transportation. The new facility, which opened to the public in August 2014, has been expanded to include high-quality exhibitions and hands-on interactives. The reorganized exhibition spaces make it a unique, state-of-the-art facility that offers original programming while continuously promoting heritage. Resurgo Place is a source of great pride for local citizens and is a dynamic, exciting destination. 2014 - Resurgo Place officially opens to the public. 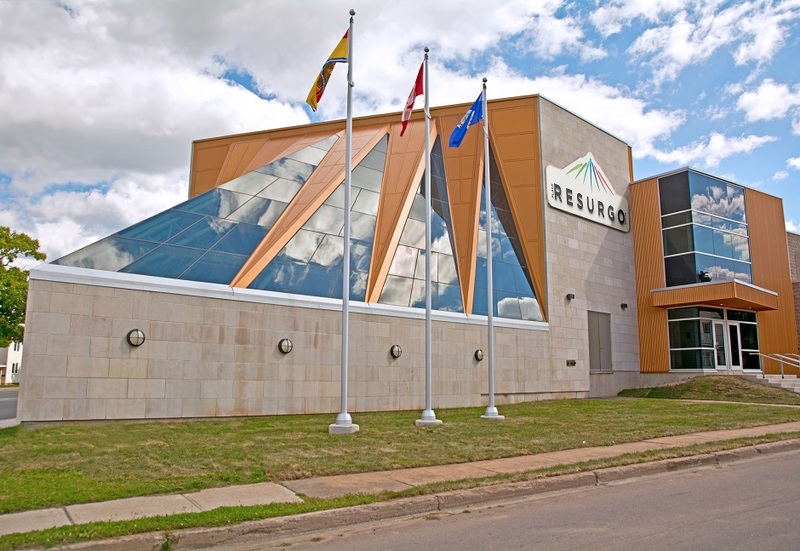 2013 - The museum celebrates 40 years in the community and is re-branded as Resurgo Place, the new home of the Moncton Museum and the Transportation Discovery Center. 2012 - Construction of the new Transportation Discovery Center begins. 2004 - Planning begins for the expansion of the Moncton Museum and the construction of the Transportation Discovery Center. 1998 - The Moncton Museum celebrates 25 years and becomes part of the City of Moncton Community Services Department. 1990 - The Free Meeting House is designated as a National Historic Site. 1973 - Moncton Museum officially opens to the public. 1949 - Discussions begin on the need for a museum in Moncton. Thank you to all our donors who have generously contributed to the Transportation Discovery Centre and Resurgo Place. We are tremendously grateful for your support. Atlantica Diversified Transportation Systems Inc.
Assurance Goguen Champlain Insurance Inc.
MacArthur’s Paving & Construction Co. Inc.